James Bond: "Do you expect me to talk, Goldfinger?" 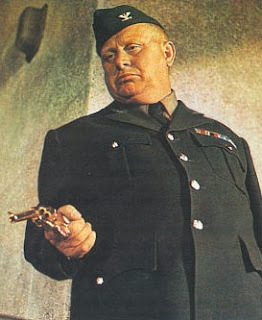 Auric Goldfinger: "No, Mr. Bond....I expect you to die." It's a little-known fact that the above dialogue, perhaps the most iconic exchange in the entire Bond film ouevre, wasn't actually written by Ian Fleming. It never appeared in the Goldfinger novel, and instead was a creation of the film's scriptwriters. Nevertheless, it is a pretty apt description of the current state of play in financial markets. In addition to the front-end carnage across the globe, bond markets broadly are getting smoked like a Scottish salmon this week. In the US 10 year future, 115-04 has been a pretty key pivot point over the past 6-9 months. The market has crashed through the level this morning, in sympathy with pain elsewhere. What's driving this? Supply? Perhaps, as govvy issuance has ticked up in places like the US. Renewed economic optimism? Maybe- the Fed funds strip is now pricing in rate hikes in the second half of the year, having priced in cuts until very recently. Inflation? Maybe...though breakevens are hardly suggesting that inflation concerns are paramount. No, from Macro Man's perch this looks to be a good-old fashioned position liquidation screw job, perhaps exacerbated by short gamma-type positions from the mortgage convexity hedgers. Ultimately, there are some tasty mispricings appearing on Macro Man's screens; he really struggles to see a scenario where the Fed tightens interest rates in H2, particularly given the general election in November. Of course, in this game, timing is everything, and being early (as Macro Man has in buying the front end of the US) is the same as being wrong. Given his views on inflation, it's hard for him not to have sympathy with the long-end sell-offs; for the time being, however, Macro Man is just trying to be as adept as 007 at escaping Goldfinger's clutches. I can't remember the last time a short earned 6 big figures on a JGB position in a month, though I doubt if it was this century. Anon, it is indeed that Bond...and indeed, the very scene cited in the title of this post. I wish I had emulated you a few days ago, as my reasonable performance as of a few days ago has now pissed away all my MTD (and, given I've recently started, YTD) gains. Grrrr. It now appears that having served as a reverse indicator for European data yesterday, I've marked the bottom of the bond markt today, as Bunds are now up on the day and TYM8 is up half a point since I posted. Talking my own book but do agree with you on the front end of the US curve. With vol pumped, selling the Dec 08 euro$ 96.875puts @ 36.5 giving a breakeven 3m libor of 3.49% seems reasonable risk/reward even with deep misgivings that libor issues will be anywhere close to being resolved and the banks could be in year-end windowdress mode. Yeah, I can see the logic of selling ED puts...though not sure if I am brave enough to sell Dec vol. On FFZ8, I completely agree...but then again, I am already long from (ahem) somewhat less attractive levels. An equally compelling trade is the Aug-Nov spread anywhere near 20 bps...seen it as high as 18-19 but didn;t have anything in the market. Hard to see the Fed hiking inn the run-up to the election, regardless of the state of the economy IMHO. Look at the long bond in the 1929-32 time frame to see what happened. The Depression was not caused by the stock market meltdown. It was caused by the bond market imploding due to a loss of confidence. It seems to me the bond crash is occuring not so much due to inflation expectations. It's occurring likely because of the erosion of the tax base and that U.S. gov't bonds might be risky. We don't have the productive capacity to support our current levels of borrowing as our citizenry stands. In effect the world might be saying even our gov't bonds are junk. This is the worst kind of bond crash, a deflationary one. The last thing the U.S. economy and consumer needs is higher treasury rates. In the past when treasuries paid high rates Americans at least had savings to earn good interest. Now we have only debt and very few have free cash to put into interest bearing investments. "This is the worst kind of bond crash, a deflationary one." Quite the Orwellian tongue twister. Man you can't make this stuff up! Of course, one could argue that the higher IR in the U.S. would finally reward those who saved, instead of having them, once again, bail out the lot panhandling bus fare after the tenth race.